With increasing age and longevity, the risk of chronic disease rises along with that of age-related disabilities from chronic diseases such as pulmonary disease and diabetes to age-related loss of hearing, sight and movement (arthritis), cognitive illnesses such as dementia and Alzheimer’s to injuries from falls. The incidence rate of disability from each of these varies considerably by country based on longevity and access to appropriate healthcare and rehabilitation services. As the number of older persons continues to grow along with their longevity, the need for long-term care will increase significantly for those aged 80 and over, and in particular for older women who live longer. 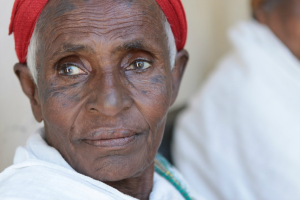 The number of older persons age 80 and above is estimated to grow from 125 million in 2015 to 434 million in 2050. Read more about the Briefing Paper: Growing Need for Long-Term Care: Assumptions and Realities.